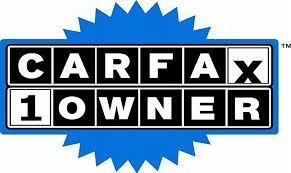 CARFAX 1-Owner, Excellent Condition. EPA 46 MPG Hwy/27 MPG City! Heated Leather Seats, Satellite Radio, Alloy Wheels, Onboard Communications System, iPod/MP3 Input, TRANSMISSION, 6-SPEED AUTOMATIC, ELEC... ENHANCED SAFETY PACKAGE AND MORE! Leather Seats, Heated Driver Seat, Satellite Radio, iPod/MP3 Input, Onboard Communications System. ENHANCED SAFETY PACKAGE includes (UD7) Rear Park Assist, (UFG) Rear Cross-Traffic Alert and (UFT) Side Blind Zone Alert, 2LT/DIESEL DRIVER CONVENIENCE PACKAGE includes (D6I) driver and front passenger illuminated vanity mirrors, (DD8) auto-dimming inside rearview mirror, (UVC) Rear Vision Camera and (DWE) outside heated, power-adjustable mirrors, AUDIO SYSTEM, CHEVROLET MYLINK RADIO AM/FM stereo with CD player and MP3 playback, includes 7" diagonal color touch-screen display, TRANSMISSION, 6-SPEED AUTOMATIC, ELECTRONICALLY CONTROLLED WITH OVERDRIVE, ENGINE, 2.0L TURBO DIESEL DOHC L4. Chevrolet Diesel with Black Granite Metallic exterior and Jet Black interior features a 4 Cylinder Engine with 151 HP at 4000 RPM*. Serviced here, Non-Smoker vehicle, 109 point inspection, 90 Day or 3000 mile limited Warrenty. "The 2014 Chevrolet Cruze deftly combines responsive handling with a comfortable, compliant ride." -Edmunds.com. Cross-Traffic Alert, Blind Spot Monitor, Child Safety Locks, Electronic Stability Control, 4-Wheel ABS, 4-Wheel Disc Brakes, Tire Pressure Monitoring System Great Gas Mileage: 46 MPG Hwy.